When I was asked to participate in this blog tour I had to take a minute before saying yes whilst I recovered from a moment of sheer, unadulterated enthusiasm. Know why? Lucienne Boyce is a bit of an expert on the Suffrage Movement and, more specifically the Suffrage Movement in Bristol. So, seeing that I wrote a 20,000 word dissertation on those lovely ladies I had already come across Lucienne before hearing about this novel. It was a case of 'she's written a novel too? Damn, this lady is cool'. Obviously I then managed to recover myself, agree to join the tour and start reading the book all the while holding in this excitable being in side of me. I like to think I succeeded. Until I started reading, of course. 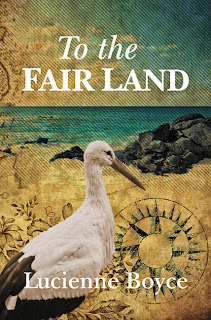 To the Fair Land is set in the late 18th century and follows the protagonist, Ben Dearlove (THAT NAME), as he tries to discover the truth about a voyage taken by a ship called Miranda. The whole search is sparked by the publication of an anonymous work of fiction about a newly discovered, apparently make-believe, land across the ocean. So follows some excellent literary intrigue, a jail term, a murder, a secret, a mystery and a gigantic (and surprising) revelation. That enough to whet your appetite? It certainly should be. I thoroughly enjoyed To the Fair Land. Whilst quite long, it was suspenseful enough to keep me turning the pages and well written enough to make me savour each page. 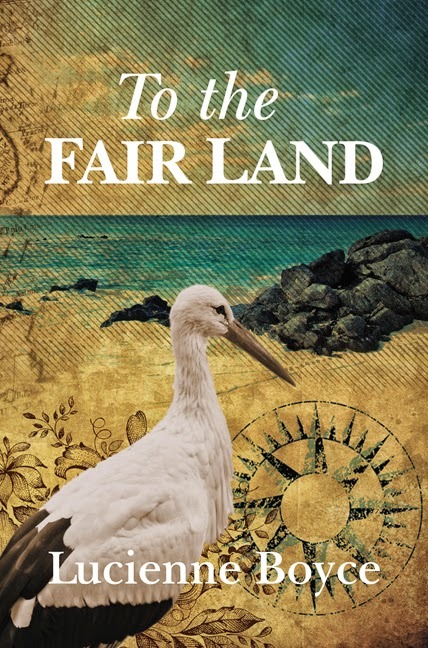 The descriptions of the fair land and the ocean voyage, written as part of the mysterious book, were completely wonderful and reminded me of various other works of fiction from the 19th/early 20th century like Sylvia Townsend Warner's Mr Fortune's Maggot. I think one of the main strengths of the novel is its use of multiple perspectives. Although Ben is kind of the glue that keeps it all together, we go back and forth through time and hear parts of the story from other mouths. I do love a book with layers and this book has many interweaving, overlapping and intriguing layers to work through until the climactic scene/revelation is reached. I must say, without giving away any spoilers, Boyce completely had me with the twist. I did not see that coming. Not only am I impressed by the way the mystery is hidden and then revealed, but I am also impressed by the nature of the mystery. It's a brave one but one that works very well. Ben, though a bit of a wet weekend at times, is a thoroughly likeable character of the sort that you just have to root for until the end. The book has romance, adventure, mystery and, at it's centre, an exciting voyage across the world, through history and through the human mind. Visit Lucienne's website to explore the rest of the tour. 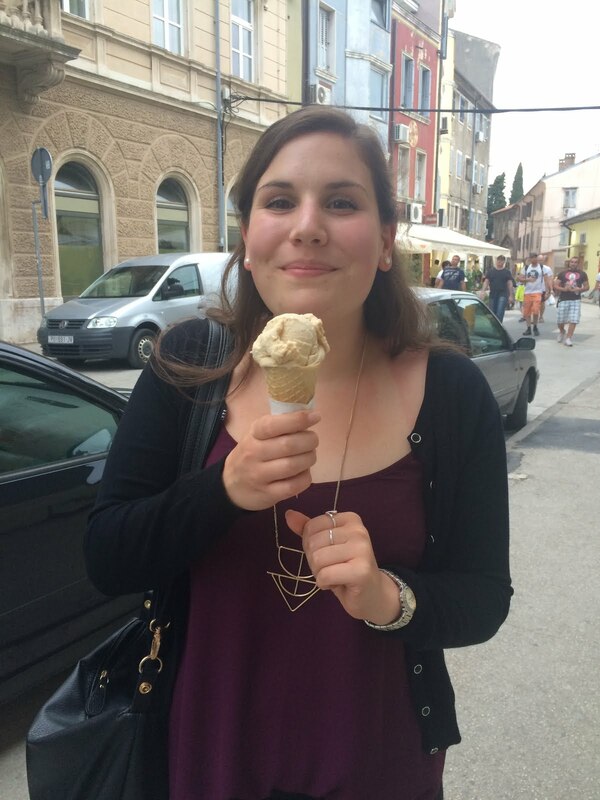 Lovely review, Ellie and from one feminist to another, congrats, Lucienne. This is a must read article and book, it is really basing on her travel experience with great subject attached in it.. Thanks for sharing this post of yours! Keep it up.